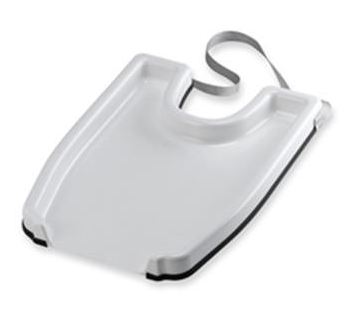 This easy-to-use showering tray by Jobar is contoured to fit neck comfortably and rest on the user's shoulders for easy shampooing in a seated position. 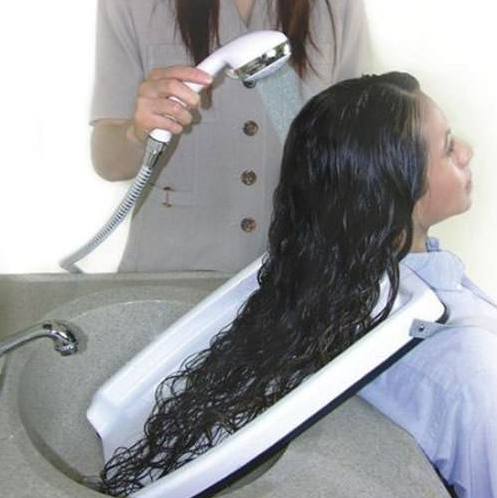 The Hair Washing Tray is compact and lightweight to diminish awkward bending for those with limited motion. The tray is also equipped with a 35" nylon strap which wraps around the user's forearm to keep it steady during use. The raised edges allow water to drain into the sink for a convenient, mess-free seated shower. This great product is designed with durable plastic material and is easily cleansed with soap or household disinfectant and water. Can be used with chair or wheelchair.